Kids love snacks! This seems to be a universal. Whether it’s elementary school snack time or at a toddler’s well child checkup or while running around after school, kids need fuel! And the On the Go Snack Bag is one fun way to make sure they have the snack they need when they need it! The On the Go Snack Bag is sized to fit their healthy snack of choice – a granola bar, cheese crackers, a small apple – whatever gets them through those “I’m STARVING” moments! 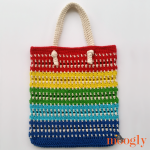 And it’s got a bright and easily customizable look so you can tailor it to their favorite colors and activities. And it’s functional too! The carabiner is fully attached to the Bag, and it slips through an opening a the top – closing the bag and trapping the snack, and ready to clip on to their backpack, the diaper bag, or your own purse! 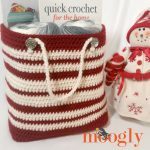 They also make great gift bags, filled with their favorite goodies! Round 6 – 8: Ch 2, dc in each st around; join. (60 sts) After Round 8, break yarn and finish off. Round 14: Rep Round 10. Make sure your carabiner fits through the hole created by the “ch 7, skip 7.” Adjust if needed. 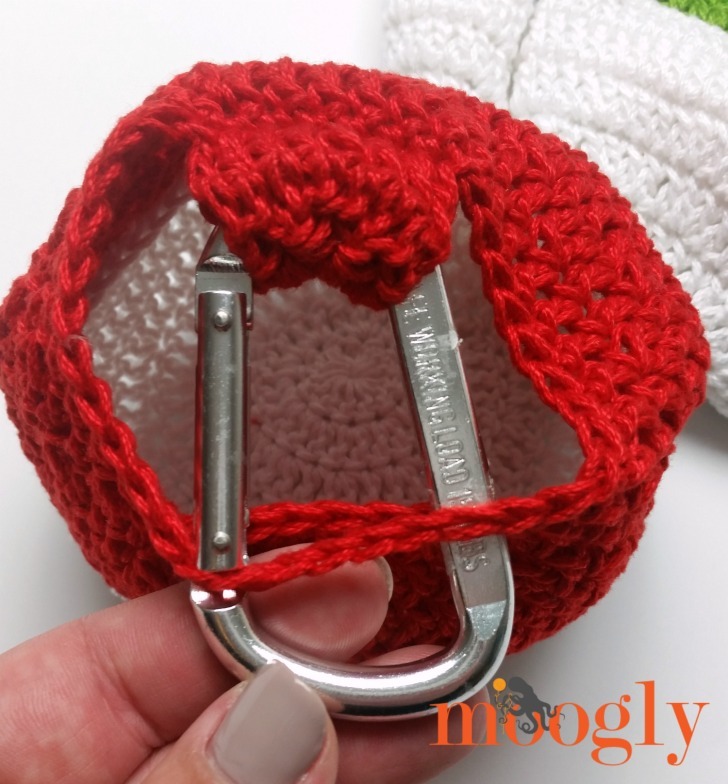 The pattern now switches to Rows for the strap that holds the carabiner. Final Round/Attaching the strap: Fold strap to inside of bag, sl st through Row 4 AND unworked loops of Round 15, then sl st in each st of Round 15; join, break yarn and finish off. Use last tail of yarn to sew strap down for extra strength. Assembly: Open carabiner and slip through strap. Insert snack in bag, then insert carabiner and strap through ch-7 hole. Enjoy! 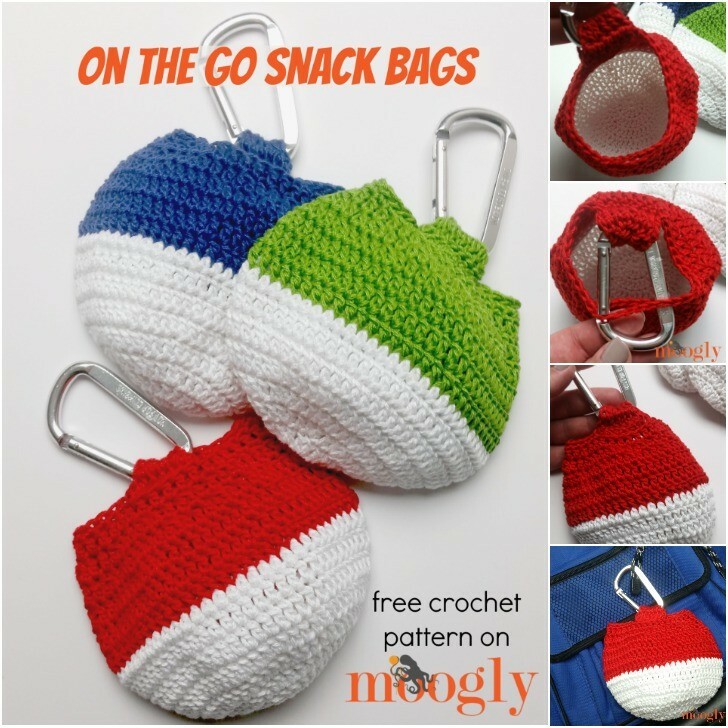 I hope you enjoy this free crochet snack bag pattern! It’s quick and easy to make – and fun to customize! How will you use it? 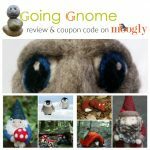 Going Gnome Needle Felting Kit: Review and Coupon Code! Very cute idea. Love it!! Funny things for pokefuns:) I also try to share useful and interesting information for yarn. I’ll visit you again. 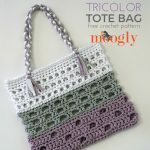 Can you get this pattern without ads??? There seems to be a problem with the Print Friendly button. When I click on it (I tried several times) the oaf that comes up for PDF etc doesn’t have any pics. ? Go to the green print button, if you hold the mouse over words/ads it will say “click to delete”. Do this with all you want to get rid of. I found this out on others patterns I wanted to print without “extra” stuff. Hope this helps. Just finished mine and it turned out great! What a great idea! 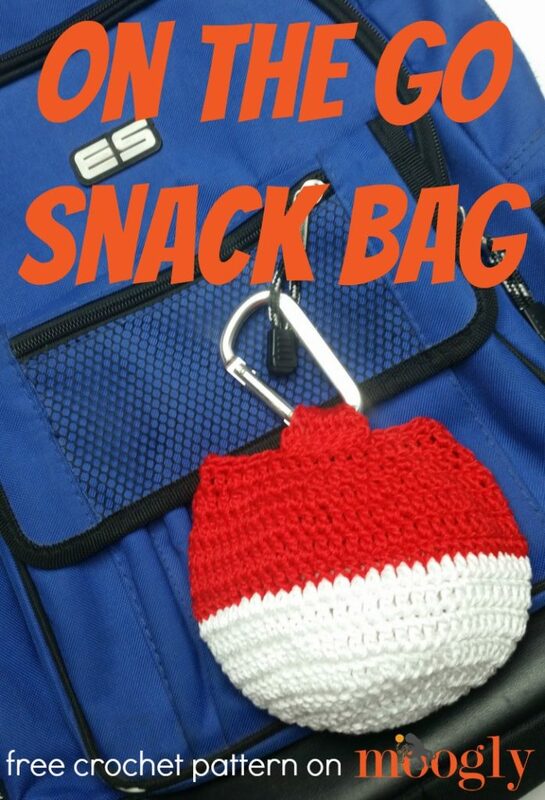 As a diabetic I need to carry a snack, this cute little snack bag can clip onto my crochet tote , (that I take everywhere! ), and I won’t have an extra bag to carry! Thank you! 😀 I’m so glad you like it, thank you Diana! i really like this and, while I no longer have children at home, I DO have two puppies that get treats on our walks. I think this will work beautifully! What size carabiner did you use? These are a great idea by the way! I’m using Sugar n cream –will it make a big difference ? Thank you so much Janet! 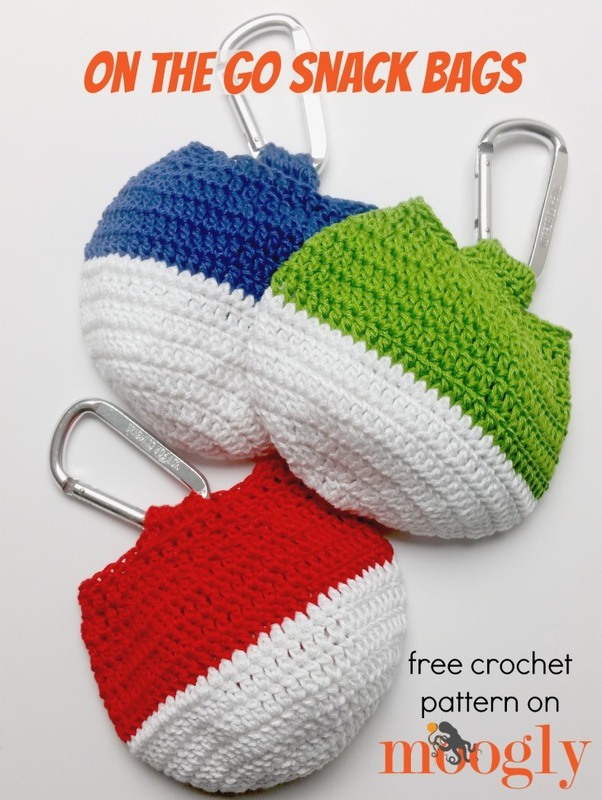 It shouldn’t make a big difference in the crocheting, but I would recommend setting the colors with vinegar before washing – some colors run quite a bit in Sugar’n Cream. This is a great pattern! Will make one for my mom to hook on her walker for snacks and other essentials. Thanks. 🙂 Thank you so much Pat! My kids saw the link in your email and requested snack bags today. Guess what I’ll be working on? 😉 As always, thank you for the clear, concise pattern for a cute, useful item. I’ve made several of your patterns and they always turn out great!